Providing a complete resource for any teacher seeking a way to bring GIS technology into the middle- or high-school classroom, this educational package is a comprehensive collection of world geography lessons, lesson plans, exercises, and assessment tools. Exploring seven geographic themes, students are able to investigate each theme using real data to create maps with GIS software. 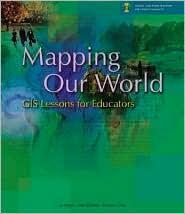 This book provides teachers with everything they need to begin teaching a GIS course or incorporating GIS into a standard geography course.